I published a version of Talking Head’s Road To Nowhere on here a little while ago. Since then we’ve been practising the song at Southampton Ukulele Jam, and one of the problems was getting the timing for the opening section right (we are trying to do it unaccompanied). Anyway, to try and help with that I created an updated version of the song sheet with musical notation for the opening section. It’s less to get the notes right, more to get the rhythm and timing right. It seemed to work, so here’s the updated song sheet. 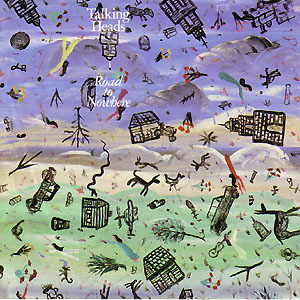 Categories: Rock | Tags: 1980s, 1985, Talking Heads, ukulele | Permalink. Road to Nowhere is from the time when Talking Heads hit their commercial peak, at least in the UK. It’s arguable that in achieving this commercial success they lost some of the weirdness and edginess that made them such an interesting and oddball proposition previously. But for all that, this still isn’t your average straightforward three-minute pop song. Opening with an acapella gospel-choir-type introduction, before giving way to a martial drum rhythm and sounds that – to these ears – are influenced by Cajun and Zydeco (listen to that accordion!). This arrangement begins with that unaccompanied introduction, although I’ve cheated slightly by adding in single stroke chords to keep me in tune! I tend to play it echoing that martial rhythm throughout the accompanied parts of the song. There are quite a few ukulele versions out there (just search road to nowhere ukulele in YouTube) although I’m not sure how many I’d recommend. Anyway, give it a try and see how it goes. Enjoy! Categories: Rock | Tags: 1980s, 1985, Post-Punk, Rock, Talking Heads, ukulele | Permalink.